There are so many factors to deliberate on in regards to planning a wedding. Besides booking the venues, selecting floral arrangements, and hiring catering services, one may forget that you need furniture to put your arrangements and food on, along with so many other items that contribute to the objective and subjective quality of a wedding. Some venues will have their own in-house services, but what if they do not? Regardless of the conditions at hand, one needs a truly skilled and experienced professional rental service to get the job done in a sufficient standard. We realize that this is probably something you have never had to do before. 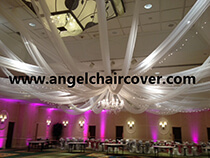 Do not worry too much, because Atlanta has several fantastic event rental services. Below is a brief guide that should help you immensely to find the right rental candidates. The first thing you will want to accomplish is determining your budget and the size of your wedding. Once you have that information at hand, you can start your search for the best candidates. You may be surprised to find out that particular venues will supply their customers with a list of preferred or even exclusive vendors in which they will either strongly suggest or outright require you to glean your selections from. Online wedding directories and guide websites are incredibly informative. It is wise to visit each candidate's individual websites, and study it to get a feel for the company's ability to present and organize themselves. Once you have a list of candidates, give each company a call, and see what their availability is around the time of your wedding, it is likely that they will be available, but be sure that you book appointments with the companies that are not too solidly booked. Make sure that you are able to view their equipment. 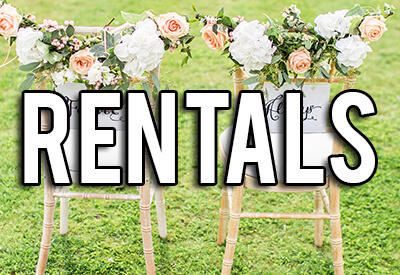 No one wants dysfunctional items or furniture from a rental company, especially when you are renting those items for such a special occasion like your wedding. If a particular company denies this request, then do not consider them, it is of little hassle for them to show you their inventory, so do not let apathy get in your way. Ask how much experience they have in the business, and in particular, in the field of servicing weddings. It is worth it to ask how many weddings they service on average a year, and if you really want to get specific, how many weddings of your size they average a year. The most important thing for you to leave each interview with is the knowledge os what the company can do for you and how much it will cost you. It is always advisable to trust your instincts through this process, and try not to overcompensate in terms of deliberating on the service you want to hire. Once you have chosen the company you want to work with, ask for a written contract. There is nothing like the feeling that you will have the necessary equipment and items handled by the expert rental service you have hired!